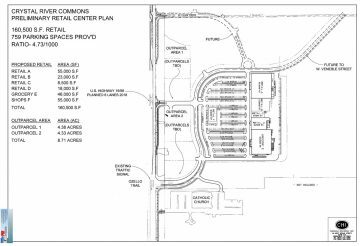 The development will span 160 acres and consist of 399,000 square feet of retail, 125,000 square feet of office, and up to 18 outparcels. Industry best practices will be used in designing and constructing the development, including compliance with the Florida Green Building Initiative. This will limit the development’s environmental impact as well as ensure its future sustainability and acceptance within the marketplace. 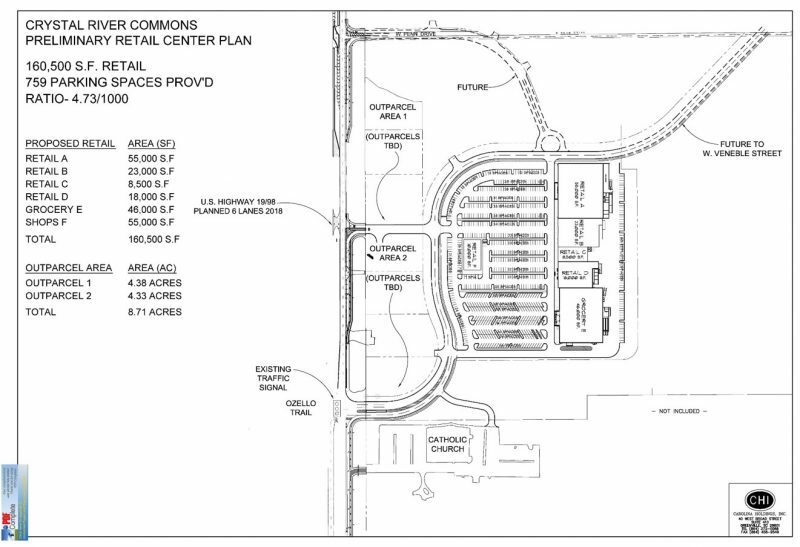 See www.crystalrivercommons.com for more information. 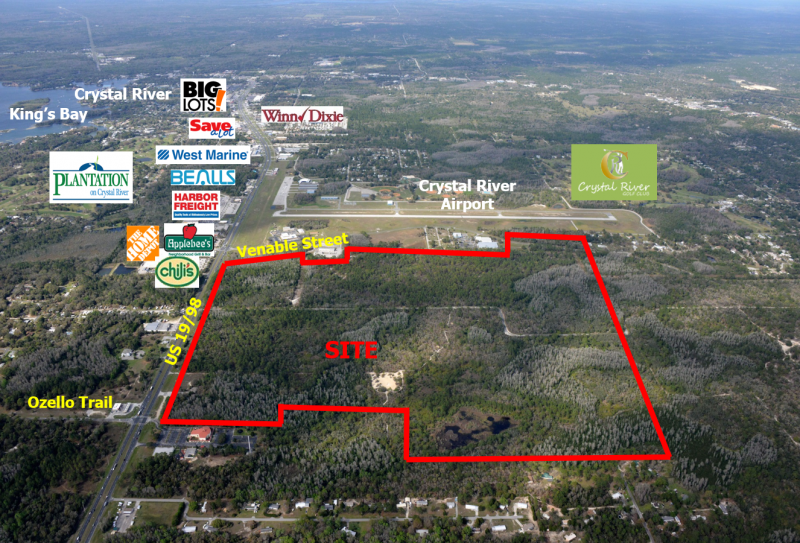 The property is located in Crystal River, FL at the intersection of North Suncoast Blvd (US 19/98) and Ozello Trail (FL 494) and bounded on the north by W. Venable Street. The property has excellent access to US 19/98 which connects Tampa and Tallahassee. FDOT plans to 6-lane US 19, with completion slated for 2012. Venable Street is a major residential arterial, as it connects back into the neighborhoods to the east and into SR 44. Access will be further enhanced by the FDOT approved extension of Ozello Trail through the property connecting Venable Street to US 19/98.